National, local and international clients have relied on King’s English since 1994. A love of the craft and a work ethic that adds value to every project have set us apart. King’s English offers you experience in a broad range of industries for business-to-business, business-to-consumer, and non-profit services and causes. The work has covered a lot of ground, too: ad campaigns, marketing strategies, corporate identities, web design, broadcast production, branding, practical small-budget strategies, media planning, digital advertising and so on. 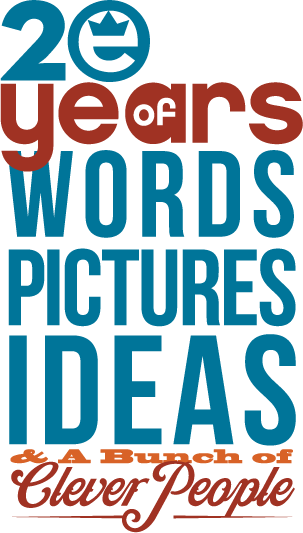 So suffice to say, we do Words • Pictures • Ideas. You probably want a partner that’s a fast study and easy to work with, while also being both strategically and creatively driven. That’s us. You can expect a strategic approach to your marketing and a creative style that sets your brand apart with an appealing and consistent presentation in any media. Your account gets the attention of the agency principal, fast response and budgets you can bank on. You can be as collaborative with us as you like or you can rely on the King’s English team to manage every detail. Your branding, marketing and public relations will be better with King’s English experience and with services that are tailored to your business plan. We have over two decades of happy client engagements. You can have one, too. Need to see some more samples? Click here. Tell us as much as you can about your needs or specific project. We’ll review and respond promptly to continue the conversation. Request a proposal. If you just just need writing, King’s English Express Copy offers flat rates on the most common writing projects. Credit cards accepted. Request express copywriting. Copyright 2019 King’s English, LLC.